Scientists in academia and private companies perform research every day, which can have wide-reaching implications on all of our lives. Research can lead to better nutrition, the production of antibiotics and other treatments, the implementation of vaccines, improved hygiene and sanitation, and less crowded living conditions.These improvements all contribute to reduced disease transmission and better socioeconomic conditions. At the same time there are only a few people who really know what’s going on in research and only a small part of the information goes back to the public. How can it be that something with such wide-reaching implications, like eradicating diseases and improved survival of the human race, is something we know so little about? The answer lies in Research Communication: The ability to explain one's research in a clear and understandable way, so that the public is well-informed. why is research communication important? The research of today is the future of tomorrow. New treatments for current and future diseases, living conditions for generations to come and developments in technology all start with research. In order to be able to engage in the conversation and to make conscious decisions, we need to be well-informed. We need to know more about the possible outcomes of research and how it can be applied to all of us. Only then can we make informed decisions about funding and regulation. Effective Research Communication can help us to make ethical decisions about research findings and discoveries. For example, recent developments in a genome editing technique called CRISPR-Cas9 can turn designer babies (genetically making up a baby with e.g. the desired eye colour) into reality. But is this something we want to implement? Or do we keep these techniques for incurable diseases only? Where do we draw the line? Public awareness is key in successful research. Therefore, I am happy to see a positive trend towards Research Communication being seen as a core professional skill. However, 40% of the British public still feel that researchers are bad in communicating science. It is just part of the job. 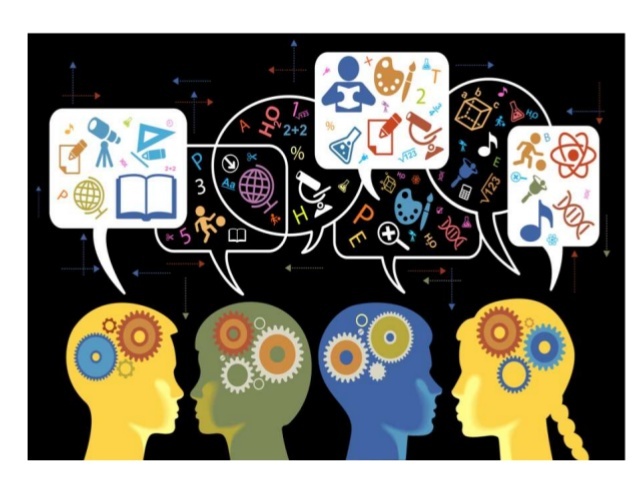 Whether it is to write scientific articles, get funding, or to teach the next generation their skills and knowledge, Research Communication is essential. Several funding agencies such as Horizon 2020 European Union (EU) and National Science Foundation (US) require outreach programs that bridge the gap between research and the public. Most grant applications these days ask for a broader impact statement as a way for the researchers to demonstrate the wider scientific and societal implications of their projects. Researchers have to show that what they do could have an impact on people’s lives or has the potential to help solve societal problems. It’s becoming more and more important that research is accessible to the public and that an effort is being made to communicate findings and knowledge in an understandable way. Research Communication is even involved in making new policies and legislation. Therefore, researchers need to learn how to communicate more effectively. Having the skills to communicate research in an effective way has a positive impact on researchers themselves. By making the public understand what they are doing, they can prevent misinformation from arising and help to sustain support for their research. It’s also an excellent way to connect more with the public and to see one’s own research in a new light. Some researchers may even find it motivational to share their findings and thoughts with the public. What makes Research Communication so difficult? People want to hear stories that affect them, facts that they can relate to and findings that inspire them. Research Communication is not only about explaining findings in an understandable and concise manner, but about engaging people in your research. And that is not always easy for researchers. One of the reasons researchers are having such a hard time communicating their research to the public is because it is completely different from reporting research in scientific journals or writing grant proposals. Researchers are used to describing their findings and theories in a lot of detail, strongly backed up by graphs, figures, tables and references. They can build up a very strong case in this way and be extremely convincing. However, when the “why does it matter?” is lacking, only a small group of people will be interested in what they have to say. A researcher’s life mostly happens inside of an academic “bubble”. Inside this bubble are the experiments or theories to be investigated, data to be analysed and results to be reported. Interactions and social engagements are mostly with people from the same field. This is why researchers tend to get stuck in “science jargon”, which is not very understandable, nor very appealing to people from outside their research topic. Public engagement through science communication forces the researchers to look at their project in a much broader picture and to formulate the essence of their findings or theories. This can be very challenging as the researcher has to step outside of their bubble and into the shoes of their audience to successfully communicate a clear message. Effective Research Communication raises more public awareness and engagement. With the right information, presented in an understandable way, conscious decisions can be made from a governmental to an individual level. Research Communication is of great value for society and future generations as the impact of it affects us all. The impact of Research Communication goes further than just explaining it, it’s about building bridges between research and the public. It’s about creating a mutual engagement. It’s about having a conversation. By bridging the gap between researchers and the public they can become one entity. Only when everyone is pulling on the same side of the rope can true impact be accomplished with research! Of course we cannot expect researchers to be good at everything, but a little bit of effort goes a long way. We can learn an incredible amount from each other and everyone has their own specific talents. Recognising your own strengths and weaknesses makes you able to work with them. There are always ways to educate or develop yourself or to find the right people to help you. MindMint is one of these spaces, where researchers can find the support and training they need in order to engage well with the public. The takeaway message here is the importance of effective Research Communication. Being well-informed is key in pushing policies and legislation. Everyone has the right to know the impact of current and future research on their lives. Open communication and awareness raising are key ingredients of good research as they can turn the public into conscious users and judges, and researchers into leaders of their field and an inspiration for future generations.